Hell just froze over because Verizon, long time hater of unlimited data plans, has decided to introduce a new unlimited data option. What’s the deal? And more importantly...Is the new plan a good deal? 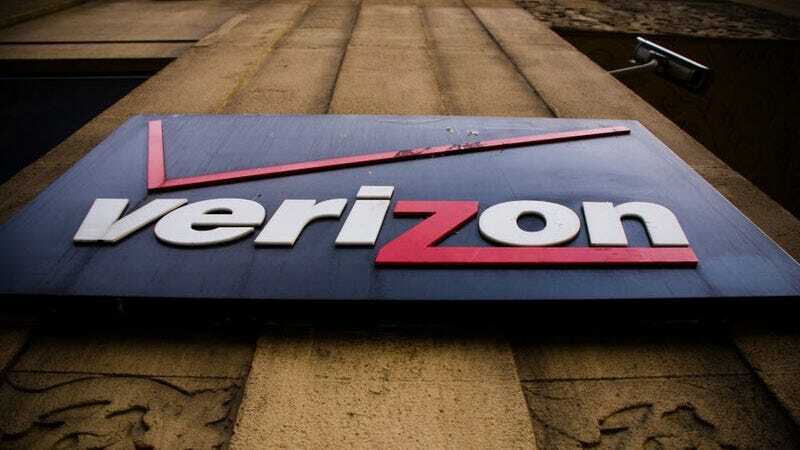 Verizon follows in the footsteps of Sprint and T-Mobile, which both offer various “unlimited” plans. Both of the smaller companies have been nipping at the heels of the big dogs, Verizon and AT&T, and it’s interesting to see Verizon, which has a reputation for being the most reliable carrier—but also the most expensive—finally re-enter the unlimited waters. You’ll notice that I keep writing “unlimited” in quotation marks, that’s because like any wireless plan in 2017, there are caveats. Surprisingly, the Verizon caveats are no worse (and are in some ways better), than what you would get from another carrier. So is this new plan a good deal? We perused all the fine print, and our verdict is that yes, it actually is, provided you use a lot of data. How much does each line cost? First, let’s start with the basics. For a single line, you will pay $80 a month before taxes, to get “unlimited data,” plus unlimited phone calls and text messages. That includes a $65 fee for for the unlimited data, and then a $20 “line access” fee. Verizon will deduct $5 a month from your bill if you sign-up for AutoPay and Paperless billing, bringing you down to $80 a month before taxes. If you have more than one smartphone (a family plan), prices start at $110 for the unlimited data (you’ll get a $10 monthly discount for signing up for AutoPay and Paperless billing), and then $20 access fee per line. For two people, this will be $140 a month, or $70 per person for unlimited data. If you have four lines on the account, it ends up costing $45 per line for unlimited data. If you are on an older Verizon plan, you may have only been charged $10 a month for adding a tablet to your family plan, so take that extra $10 into consideration if you’re considering switching. So how much data can you actually use? Well, Verizon says that after 22GB per line (not clear if that is per account or per line on the account), “we may prioritize usage behind other customers during network congestion. This means your data connection could slow down.” In other words, it could start to throttle data, something it has already done for its old grandfathered unlimited customers. The good news is that if it does start throttling, it won’t be until you’ve used 22GB of data. That is significantly better than we were expecting. There is also a caveat, and it’s a big one, for users who want to use Verizon’s Mobile Hotspot (tethering). You can use up to 10GB on 4G LTE each month as part of the plan (this is separate from your 22GB), but once you go beyond that, you’ll be throttled to 3G speeds. If you’re a heavy Mobile Hotspot user, this could be a breaking point for the unlimited plan. For anyone curious, if you want to add tethering to T-Mobile’s unlimited plan, that’s an extra $25 a month per line. T-Mobile used to throttle video streaming on its unlimited plan (this has since been changed, see update below), but Verizon won’t throttle video. You’re free to stream Netflix or Hulu or Spotify or PornHub or anything else to your heart’s content. Just remember, the streaming video will count against that theoretical 22GB per line limit. The exceptions are Verizon’s StreamPass and Go90 apps, which are zero rated and won’t count against your caps. Verizon is still selling cheaper data packages for 2GB, 4GB, and 8GB of data. If your monthly usage is below or around those amounts, you probably don’t need to spend the extra coin on the new unlimited plan. This is doubly true if you have several non-phone devices on your plan, because the line access fees for the unlimited plan are higher than they are for the plans Verizon introduced last year. But if you are a Verizon customer who uses and pays for a lot of data, the new unlimited plan is actually a good value. I’m a Verizon customer who currently pays about $200 a month for two phones, two tablets and 15GB of data, and I was curious to see if the new “unlimited” plan would actually save me money. Not only will it save me money, it will also give me more data. I also compared Verizon’s new offering to T-Mobile One, the company’s unlimited offering. T-Mobile One is $70 for one line, $50 for the second line (so $120 for two lines), and $20 for each line after that. Like Verizon, T-Mobile says it may start to de-prioritize your service after you’ve used a certain amount of data, in this case, 28GB. If you want to add mobile hotspot to your plan, T-Mobile is going to be another $25 a month per line. For me, someone who uses mobile hotspot on both phone lines, that would be another $50 on my bill, which would actually make Verizon cheaper (provided I can keep hotspot usage pared to 10GB per month, which I almost always can). If you don’t use mobile hotspot and don’t care about video throttling, T-Mobile One will be a few bucks cheaper a month. Update 2/13/2017 4:52pm: T-Mobile CEO John Legere has responded to the new Verizon Unlimited plan. Beginning Feb. 17, 2017 (Friday), T-Mobile One will include free HD video and 10GB of LTE tethering, free of charge. That makes T-Mobile cheaper for most users. Still, all things considered, I’m actually shocked that Verizon has a solid unlimited data offering. If you use more than 10GB a month of data, it’s definitely worth investigating.